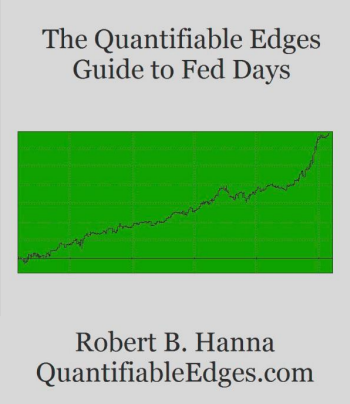 I saw some bullish studies emerge last night. But there was a study below that was not favorable that I thought readers would find interesting. One potential issue with Tuesday’s decline is that it included an unfilled gap down. Generally, an unfilled gap down from a high has more trouble quickly rebounding that a decline that does not include an unfilled gap. 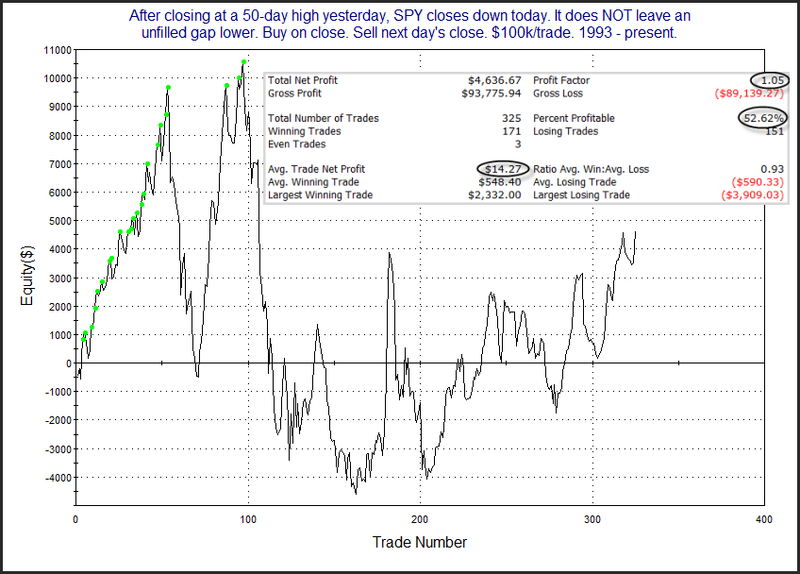 Unfilled gaps from high levels will often trap some recent bulls that bought the day before. The unfilled gap meant they were not given an opportunity to exit their positions with a profit. And if they are feeling anxious, that could lead to some more selling the following day. At the very least, they are less likely to be let off the hook as easily as if there was not an unfilled gap. 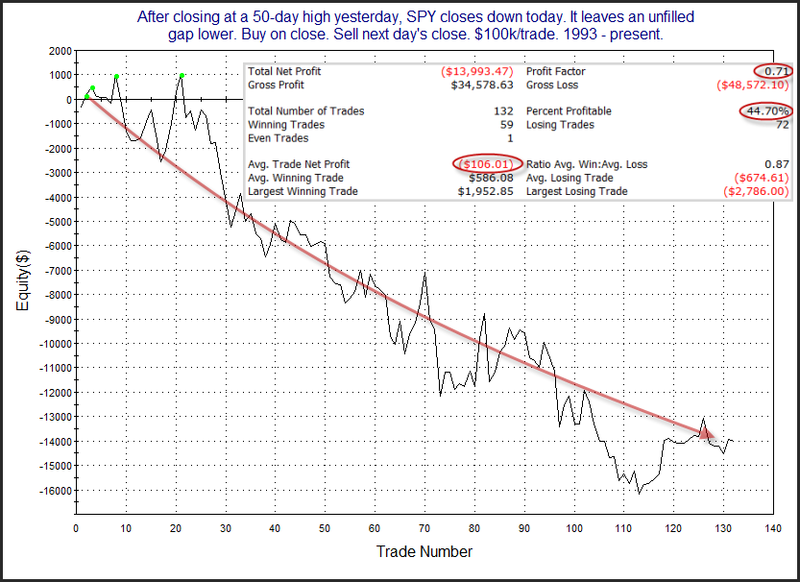 You can see this exemplified in the studies below, which look at down closes from 50-day highs in SPY. The 1st test excludes instances with unfilled gaps, the 2nd test includes only those with unfilled gaps. The difference is evident. 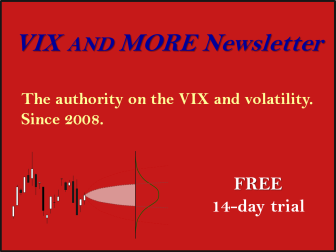 The trapped bulls make the next day less appealing, and suggest a mild 1-day downside edge.